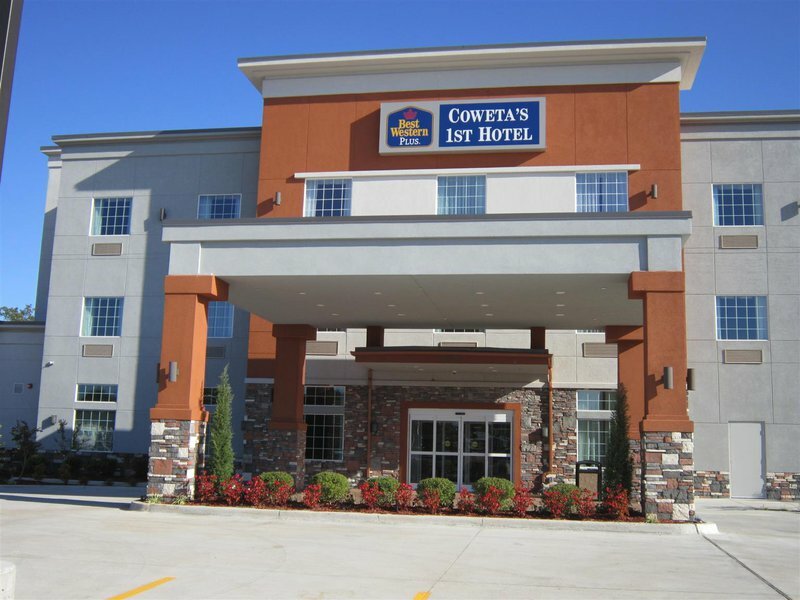 Book a stay at Best Western Plus Coweta's 1st Hotel and take your pick of 52 updated guest rooms and suites. This smoke free-hotel also offers a full complimentary breakfast, heated indoor swimming pool, 24-hour exercise facility, free in room wireless internet access, a business center and on-site laundry. Each guest room comes complete with 42 inch LED TV, microwave and refrigerator, and luxury suites with whirlpools are available. Located 10 miles from Broken Arrow, 12 miles from Wagoner and 15 miles from Tulsa on State Highway 51 in the heart of Coweta.